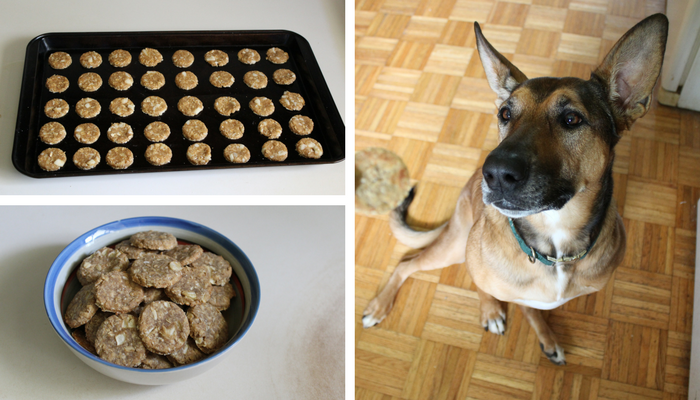 Looking for a nice & simple dog treat recipe to try? 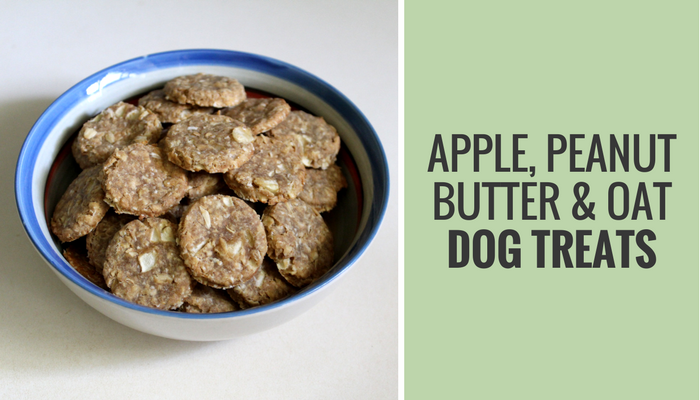 These quick & easy apple, peanut butter & oat dog treats are a favorite of mine. They’re easy to prepare and quick to bake. 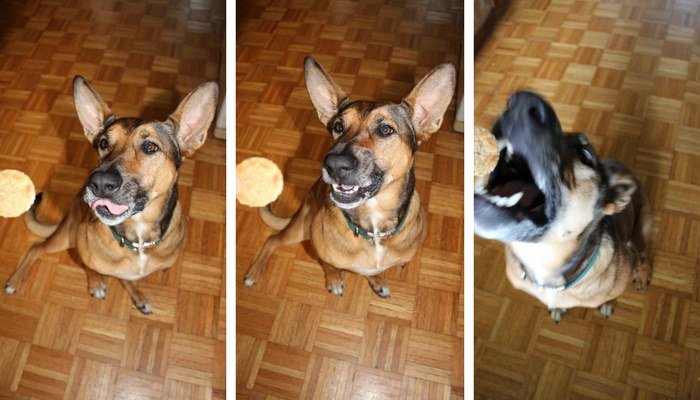 And since Laika’s a fan of anything with peanut butter they get a big seal of approval from her. If you use chunky peanut butter rather than creamy you may need to add more moisture when making the dough. If your dough ends up extra crumbly just add 1 tsp of water at a time until you can roll it as dough out on a flat surface. 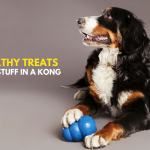 And remember to check that your peanut butter does NOT contain xylitol (an artificial sweetener that can be fatal to dogs). Peel, core and grate 2 apples. 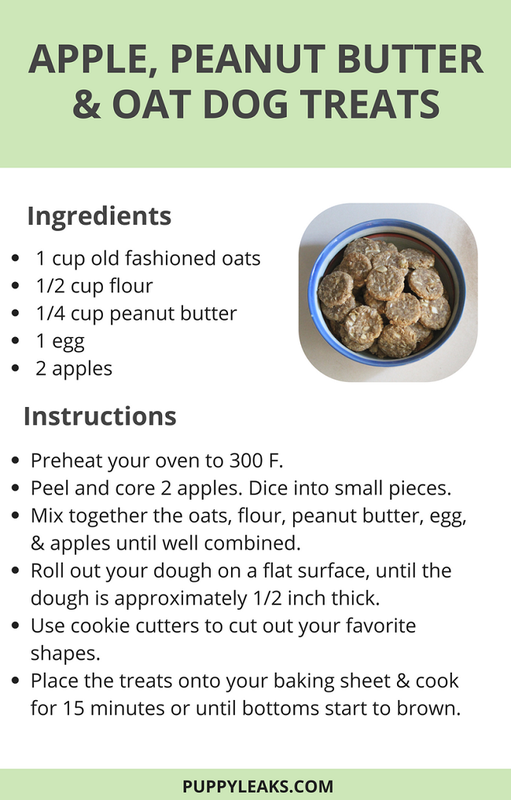 Mix together the oats, flour, peanut butter, egg, & apples until well combined. Roll out your dough on a flat surface, until the dough is approximately 1/2 inch thick. Use cookie cutters to cut out your favorite shapes. 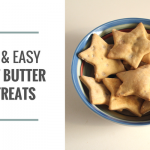 Place the treats onto your baking sheet & cook for 15 minutes. 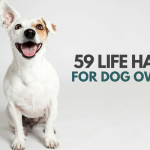 This recipe will make approximately 36 1″ diameter dog treats. If you don’t have cookie cutters you can use a knife to cut out some fun shapes, or you can make some some cookie cutters of your own using soda cans. I prefer using the top of a shot glass to make bite size treats; just be careful not to push down too hard. These dog treats will keep 2-3 days in a sealed container (due to the storage life of apples), and another 4-5 days in the fridge. I usually keep half of the treats in the fridge and freeze the rest for later. If you want dog treats that will last longer than a couple of days at room temperature you can simply omit the apples and still end up with a yummy peanut butter flavored dog treat. 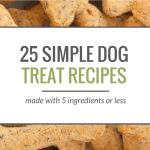 If you’re looking for more dog treat recipes be sure to check out our list of 25 easy dog treat recipes made with 5 ingredients or less. I want to eat these myself! It looks delicious! I’m really considering your recipe for my dog. Thank you for sharing. These look very delicious, I am sure my Kira would love it! I was not successful with this recipe. I had to add a lot more flour just to get something that resembled a dough that I could roll out. I’m not sure where I went wrong. My dog seems to like them, but after this batch is gone, I will go back to the original recipe. That worked perfectly every time. Could you share your recipie? Could one use applesauce instead of whole apples in order to get more moisture? It would also make it easier and much less time consuming. Just a thought…… ???? Great recipe, have to try it out! My Toby boy loves apples, this is a great treat for him. We made this for our dog Katara. We used applesauce that was unsweetened .